This is going to be one of my “a colleague said this, I disagree, and I’m going to invite him to respond” sort of essays. This time the focus is on a recent short piece by Stephen Law, entitled “Secular Humanism: DON’T define it as requiring naturalism” , in which Stephen — as the title obviously suggests — advises fellow secular humanists (and therefore, myself as well) to stay away from including naturalism within the set of tenets of secular humanism. “1. Secular humanists place particular emphasis on the role of science and reason. 2. Humanists are atheists. They do not sign up to belief in a god or gods. 3. Humanists suppose that this is very probably the only life we have. 4. Humanists usually believe in the existence and importance of moral value. 5. Humanists emphasize our individual moral autonomy and responsibility. 6. Humanists are secularists in the sense that they favor an open, democratic society and believe the State should take a neutral stance on religion. I have no quibbles whatsoever with (1), (2), (3), (5), (6) and (7). Regarding (4), I’d say that the philosophy of secular humanism (because that’s what it is) actually requires one to believe in the existence and importance of moral value, it’s not optional; besides, denying (4) would put you in a pretty awkward, philosophically speaking, position with regard to (5). As soon as I read this I thought, hang on, doesn’t that contradict (2)? I mean, isn’t it automatic that if one rejects the existence of gods then one is, ipso facto, a naturalist? Not so fast, says Law, on the grounds that naturalism is a bit more difficult to define than commonly appreciated. He is, of course, right that it isn’t particularly helpful to define naturalism as the negation of supernaturalism, especially if one then immediately proceeds to in turn define supernaturalism as the negation of naturalism. The thing is obviously circular, though one could argue that definitions are circular as a matter of course. Try looking up anything in a dictionary, follow up on the definitions of the terms used to define the original one, and you’ll end up in a circular web. Still, perhaps we can do a bit better with naturalism? The Oxford dictionary says that naturalism is “a philosophical viewpoint according to which everything arises from natural properties and causes,” proceeding then to add the usual contrast with supernaturalism. This, seems to me, is already better. True, you then need to define “natural,” “properties,” and “causes,” but as I said above, that’s going to be the case no matter which term you look up in a dictionary. Indeed, the rest of the article makes a very good case for the relevance of a number of philosophical positions that go under the umbrella of “naturalism,” many of which really ought to be part of the general philosophy of secular humanism. Even more apropos of Stephen’s essay, Papineau actually addressees — within the context of naturalism — all the areas that Stephen finds problematic and that, in his mind, counsel against the inclusion of naturalism as part of the tenets of secular humanism. But I’m getting a little ahead of myself here. “1. because it unnecessarily excludes many from the secular humanist club who could and should be invited in. Let’s start with #1: Stephen notes that, for instance, more than 85% of practicing philosophers are non-theists, and yet only about half of them would label themselves as naturalists, leaving 35% of professional philosophers who are both non-theists and non-naturalists. Why exclude them from our club, he rightly asks? But I suspect we wouldn’t exclude them at all, because the reality is that those philosophers are simply a bit too hung up on the technical discussions about naturalism in philosophy (the very same ones that Papineau details in the SEP entry), and may not realize that what secular humanism means by “naturalism” is actually a rather “thin” concept, one that they could (indeed, should!) happily subscribe to. So what Law is concerned about is whether naturalism can handle a number of types of realism in philosophy, particularly pertaining to mathematical Platonism, minding, and morality. I think he doesn’t need to worry. Yes, it is certainly the case that there are ongoing controversies in philosophy about the ontological status of mathematical objects, of mental constructs, and of moral values, but it is also the case that much of the disagreement can still be subsumed under a properly broad conception of naturalism. For instance, James Ladyman and Don Ross, in their Every Thing Must Go , a detailed analysis of the relationship between metaphysics and the natural sciences, very clearly admit that their brand of structural realism (a particular position about scientific theories in the philosophy of science) is perfectly compatible with a naturalistic version of mathematical Platonism. All that it takes is to move — as they nicely put it — from a Quine-style “desert ontology”  to a more luxurious ontological forest, which is a poetic way of saying that their ontology can accommodate things, like mathematical (and moral!) concepts, that are not made of “stuff.” Very much the same point holds for minds and consciousness, different theories of which still easily fall within the broad umbrella of naturalism — so long as one doesn’t think that mathematical objects, minds or moral values somehow violate the laws of nature and/or originate from a deity of some sort, a position, I would hope, that no secular humanist ought to hold. First of all, I find the very notion of secular humanism (logically) entailing anything to be a bit too strong. Secular humanism is a set of philosophical positions espoused by people who use the label “secular humanist” to summarize what they think about a number of issues. It is not a rigid logical system, so talk of entailment and of “refuting” seems inappropriate. Secular humanism is a way of looking at the world, revisable in several of its tenets precisely because secular humanists are supposed to be responsive to new evidence and arguments. And if, as Law writes, “critics will rub their hands together with glee knowing we have just provided them with a cupboard full of stock philosophical objections,” then secular humanists should be equally worried about their rejection of, say, belief in gods, since there too they may one day be proven wrong (as unlikely as I think that is). Well, you don’t get to stake out any interesting position if you don’t run the risk of being wrong, so I’ll bite the bullet. After mulling all this over a bit, it finally occurred to me that perhaps what Law should be worried about is not naturalism, but physicalism. The latter is the idea that everything that exists is made of matter, and clearly numbers, moral values and thoughts don’t fall into that category — though of course they are, as far as we know, always instantiated through things made of matter (i.e., brains). Now, I would definitely agree that physicalism should be optional for secular humanists, precisely because it is much more narrow, and much more open to debate, than naturalism. Even more importantly, nothing serious hinges, for the secular humanist, on the acceptance or rejection of physicalism, while it does — I submit — on the acceptance or rejection of naturalism. So I don’t think Stephen needs to be troubled by naturalism per se, since it can accommodate notions such as the existence of mathematical objects, minding, and moral values, as argued above, so no refutation of its tenets is likely to come from any of those quarters on serious philosophical ground. Indeed, the only people who vehemently oppose secular humanism are theologians and those who adopt a supernaturalist view of the world. Which brings us full circle to the beginning of Law’s essay: naturalism really is to be contrasted with supernaturalism, setting aside delightfully intricate, but largely besides the point, philosophical debates. And it certainly ought to be one of the tenets of secular humanism that one rejects supernaturalism. Which makes one, therefore, a naturalist. 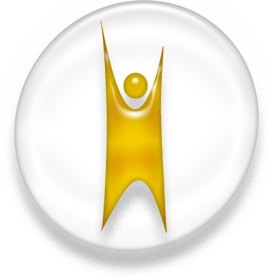 Secular Humanism: DON’T define it as requiring naturalism, by S. Law, 9 September 2014. Naturalism, by D. Papineau, SEP, 2007. Philosophy, my first five years, by M. Pigliucci, Scientia Salon, 20 April 2014. Every Thing Must Go: Metaphysics Naturalized, by J. Ladyman and D. Ross, 2007. ← What can evolutionary biology learn from creationists? “2. Humanists are atheists. They do not sign up to belief in a god or gods”. The first European humanists weren’t atheists. This non-atheist tradition persisted for about four centuries. In fact, during the nineteenth and twentieth centuries arose various humanisms and thinkers that considered themselves humanists though not always there was coincidence between them: Maritain, W. James, F.C Schiller, J.P Sartre, C. Lamont, G. Kranzlin, S. Hook. J. Monod, etc. Surprisingly, Levi-Strauss criticised the Sartrean humanism claiming that it was subjective and pseudo-categorical. The Frankfort School was skeptical about humanism and also the structuralists. But the break appeared with the arising of Marxism, according to this doctrine the main aim is the liberation from the yoke of injustices. The agenda for this liberation doesn’t need God because freedom is a human affaire. The point that arises here is to know if theist, deists and agnostics are able or unable to work together with atheists. What about Martin Luther King? He was a Christian priest and was killed in behalf of his humanist ideas. What about Mahatma Gandhi? He admired Jesus and the Sermon on the Mount, a splendid Manifest against social injustices, its echo reaches us today. And Teresa of Calcutta, the catholic missionary who devoted her life to help the poors? I think that is perfectly possible to be humanist and believer. I think that we might achieve a bit more clarity by reviving the sadly defunct term “anti-clericalism” as another way of thinking about “secularism”. If atheism is a strictly metaphysical position — a view about what does not exist — then anti-clericalism is a cultural-political position, or a view about what kinds of legitimate authority there are in society. An anti-clericalist could be a pantheist or even a theist, so long as she were sufficiently critical of organized religion and its social and political effects. In those terms, I wonder if perhaps Law should have stipulated that anti-clericalism is a tenet of secular humanism, or at least make clear that the issue is about legitimate sources of authority over our commitments and entitlements. By this I mean that we are committed to asserting, as well as what we are entitled to assert, is constrained both by the rational discourse of giving and asking for reasons as well as what the world tells us about itself (via observations and well-confirmed posits). No claim about “revelation” or any putatively “holy text” can count, all by itself, as a move in the game of giving and asking for reasons. Since it is a kind of violence to impose one’s beliefs on others in absence of reasons, anti-clericalism is the ethical stance which abstains from just this kind of violence — the violence of the political dimension of organized religion. What is affirms to be the case, as a matter of metaphysical commitments, is going to be a different question. I might affirm that God exists while still thinking that my affirmation does not entitle me to impose my belief on others and that other people are not rationally obligated to share my belief. And yet such a belief might structure my life and identity in ways that are deeply meaningful to me, and that I want to have acknowledged by those people who share my life. That seems like a version of anti-clericialism that can satisfy everything the secular humanist could want, but without entailing naturalism as a metaphysical view. What about Martin Luther King? He was a Christian priest and was killed in behalf of his humanist ideas. What about Mahatma Gandhi? He admired Jesus and the Sermon on the Mount, a splendid Manifest against social injustices, its echo reaches us today. And Teresa of Calcutta, the catholic missionary who devoted her life to help the poors? I think that is perfectly possible to be humanist and believer. …secular humanism is a philosophy of how the world is, not just of how we should act in the world. Humanism is an ethical belief about how we should act in the world, independent of beliefs about how the world is. Secular humanism is a strongly held, but thick belief of how the world is, that conditions its ethical beliefs. Religion is also a strongly held, but thin belief about the how the world is, that also conditions its ethical beliefs. There is a crucial difference though. The religious belief of how the world is serves to strongly motivate ethical behaviour. By contrast, the secular humanism view of the world does not have an inherent ethical motivation. This has the result that secular humanism has a weak ethical component. If you go to the web site of the British Humanist Association you will see that they pay lip service to ethics but that it hardly features in their campaigns. Their campaigns have a clear political orientation and a very weak ethical/humanitarian orientation. By contrast, the Catholic Church in my region(I mention it because I directly see what they are doing) has no political orientation but is overwhelmingly humanitarian in nature(I can give lots of examples). I happen to believe that humanitarian ethics should be apolitical and areligious. It should be a tent big enough to house all that care about the ethical good of humanity, independent of their belief system. That tent should be humanism. The amount of suffering in the world demands that we pool our efforts to address the suffering, becoming more effective. I can tell you that the suffering in my part of the world couldn’t care less about the ideological label attached to the aid parcel. Atheists want their own little tent, which they call ‘secular humanism’. They are welcome to their little tent but then I question their motivation. From where I sit it looks less like a tent and more like the camouflage netting covering the assault vehicles of militant atheism. The only concession to ethics is the token red cross painted on the barrel of a gun. there is nothing in your comment that merits a reply. We need more humanism, not less, which is why I dislike the segregation of humanists into religious and secular. @Socratic, I am glad you noticed the small changes I made to the Prayer for Peace to make it politically correct. I still think St. Francis and Pope Francis would approve. I took Aravis’ point to be precisely that, because science is (with the exception of epistemic concerns) normatively neutral, its implementation needs to be informed by humanist ends, lest things like human dignity be trampled on. I think we all agree that it is helpful to distinguish between methodological concerns and ends-based concerns in terms of the application of science. The Nazis obviously did “bad science” in terms of ends and also often in terms of methodology. At other times, the theoretical science was innovative (jet aircraft, ballistic missiles, stealth technology), although the implementation (eg, the use of slave labor by Von Braun) was horrific and the ends were of course abhorrent. I don’t think anyone is impugning science- the problem centers on the ends to which we put that knowledge. That’s where I think humanism is essential. For example, neural marketing research may be excellent in terms of the current science of fMRI; its use, particularly in children’s advertising, is completely debased and violates fundamental principles of human dignity. On this issue of secular humanism and religion- I think several of the posters are correct- a focus on the issue of the secularity of secular humanism is pragmatically unwise re: the promotion of progressive policies. I sometimes wonder if the stridency on this isn’t partly a reaction to fundamentalism’s non-Lockean view of religion (as well as their interference in things like science education) and an inadvertent acceptance by secular humanists of what religion means on their terms. A “law” is a human concept describing a regularity in the universe. Neither the concept nor the regularity are physical. If you don’t allow the way that physical stuff behaves (“the regularity”) to be a physical property, then you strip physicalism of any meaning and make it nonsensical. The *only* attributes of physical stuff are how it behaves, the regularities. The only way in which “moral values” are anything at all are as brain states, particular patterns of stuff. And, as I’ve argued, patterns of physical stuff are physical stuff. Calling this a mistake is not a refutation of it. It’s not a matter of your opinion, it is a basic tenets of logic that there is a difference between the concept X, instantiations of X, and material means by which X is instantiated. In the same way, one can distinguish between the concept “molecule”, instantiations of molecules, and the material means by which molecules are instantiated. Thus, by your argument “molecules are not patterns of physical stuff”, they are merely instantiated as patterns of physical stuff. Which is then a rejection that *anything* is physical. Is it? How do we know that mathematical Platonism is not supernatural (given that both “mathematical Platonism” and “supernatural” are fairly undefined concepts)? So you are saying that moral questions are not properly posed whenever they involve values. Interesting position. No, that is not what I’m saying. Since morals are about human values, all moral questions (including all properly posed ones) involve human values. But, science can answer questions about human values (studying these is the domain of psychology). Re: sociology. I didn’t say that sociology was not science (= a descriptive enterprise), I said that a lot of sociology (especially early sociology) had been mixed with prescriptive political philosophies, and that *those* were not science. … the lack of any but epistemic normativity in science means that science qua science cannot underwrite the idea of human dignity. Agreed, we should distinguish between science (a descriptive account of what is) and human value judgements (whence motivations and prescriptions). That was my reply to Aravis. Especially when they ask us to ditch freedom and dignity as silly illusions. Who did that? Human value judgments are not “silly illusions”, they are at the heart of humanity. I didn’t mean that people would kick me out, just like no secular humanist organization would literally kick out a curious deist or theist who happen to come by. But I am not a member of the Catholic Club, and for good reasons. According to you, maybe. But plenty of philosophers see the distinction I made and don’t seem to think at all that physicalism has been stripped of all meaning. And here we go again with confusing the concept of X with the physical instantiation of X. Not at all, but the *concept* of molecule is definitely not material. Molecules are. There are supernatural versions of Platonism, but no mathematician or philosopher of mathematics that defends Platonism does it in a supernatural fashion, so it really doesn’t help your argument to exclude what so many find uncontroversially natural just because you don’t like the idea. At the moment, I’m not a Platonist either, but I can see the point and understand that it can be made in a completely naturalistic framework, as Ladyman and Ross, for instance, clearly explain in their book. You can’t have it both ways. Yes, of course science can *descriptively* study human values. That’s the domain of cultural anthropology, sociology, and psychology. But none of that is prescriptive, which was my point: prescriptive approaches are outside of science, so morality is outside of science. Wow. How often can Massimo et. al. explain this issue to you? And how many times can you fail to see it? Massimo is correct- moral values are not physical stuff. Furthermore, you can’t have it both ways. You can’t argue for this kind of reductionism on the one hand (which in any case doesn’t work anyway, for the reasons Massimo gave) and then turn around and take on the mantle of prescription for science on the other because then you’re simply arguing that science both is not and is prescriptive. I agree that, ultimately, a coherent humanist philosophy will also be naturalist, but not all humanisms, even secular humanisms, need be naturalist. I take humanism as a kind of optimism about the capacity for humans to accomplish goals and solve problems. The various humanisms could be differentiated in terms of presupposed constraints on such capacity. For instance, one could believe that humans are capable of mastering their environment physically, but that human political or familial organization is given by God, and that attempted alternatives to such organization will ultimately fail. Obviously, secular humanists maintain no such constraints. However, many contemporary thinkers who consider themselves secular humanists nonetheless maintain that, for instance, norms and facts constitute a metaphysical diremption that cannot be integrated. Some still maintain a metaphysics of substance, where the universe is foundationally constituted in some kind of fundamental unit (usually the particle). In either case, you have a universe that is differentiated, but not by any kind of differentiating process or cause (already we run into problems, even going by the dictionary definition of naturalism you presented). Such assumed metaphysical or foundational cleavages impose constraints on the kinds of questions that are even appropriate to ask. If the universe just is norms and facts or just is a set of fundamental particles, then it doesn’t even make sense to ask, for instance, why only two realms (norms and facts) or, say, 5 fundamental particles rather than 10, and why they have the properties they do. Furthermore, these kinds of splits are usually (perhaps always) ad hoc—the result of ignorance or a failure to successfully discover an integrative framework. The point here is that certain kinds of non-theistic explanations nonetheless bear the same properties as theistic explanations, rendering some aspect of the universe unknowable and unintelligible in principle. If you take naturalism to be the assumption that it is always appropriate to inquire further, to penetrate deeper, that no ultimate barriers to understanding the universe exist (Mark Bickhard’s naturalism), then the kinds of explanations I have described, despite being non-theistic, nonetheless fail to be naturalistic. Yet many otherwise secular and humanistic thinkers have had no problem accepting such foundationalisms and metaphysical cleavages. The anti-psychologism of the positivists and analytic philosophers is a rejection of naturalism. The hordes of science enthusiasts online who assume the truth of reductive physicalism but consider themselves secular humanists implicitly (and ironically) reject naturalism. You can argue that these people are simply in error, but that doesn’t change the fact that secular humanism can sit comfortably, even if not coherently, without a full or coherent naturalism. >As a secular humanism I’d say yes to agnosticism but definitely not to all the others, which are forms of religious belief, thereby embracing the supernatural, albeit at a minimalist level. I consider myself a secular humanist too, for all the authority that gives my position. I agree that deism and pantheism are supernatural beliefs. So are Cartesian dualism, and arguably (though controversially) moral realism and free will libertarianism. But, contra your position, none of these are in my view necessarily religious positions. Supernaturalism is not enough to make a religion. Religion (admittedly a somewhat vague family resemblance word) also tends to include ritual, dogma, traditional values etc. Some religions are not even supernatural (although I personally find it dubious to consider these to be true religions). It is therefore possible to hold pantheism and deism as philosophical positions without being religious at all. I think Carl B. Sachs is right that the secular part of secular humanism is really about anti-clericalism. As such, perhaps even liberal theists with a healthy skepticism of organised religion can count as secular humanists. So, in my view, as far as secular humanism is concerned it is not important at all whether one is a naturalist, what is important is that one thinks critically and shares the values of other secular humanists. DM, it is certainly true that supernaturalism is not enough to get a religion. But you brought in critical thinking, and from where I stand there is a problem of critical thinking if one accepts supernatural claims, even of the deist / pantheist variety. That’s why I think naturalism is an intrinsic part of secular humanism. Massimo, what do you feel is the problem with deist style supernaturalism, which basically deals with the time before our universe began? We really don’t know what happened before the “big bang” and it is not philosophically out of bounds to consider intelligent entities setting the wheels in motion, after which naturalism becomes the reality we must deal with. Not that I believe that happened, but I don’t see how deists who believe in a “ghost before the machine” can’t be naturalists regarding the universe we are experiencing. brandholm, well, it’s simply a belief in an unnecessary entity for which there is no evidence or reason to believe it exists. As such, I consider it an example of poor critical thinking. Of course, by far not the worst offender! This has nothing to do with critical thinking, but with the exquisite power of imagination to create inexistent concepts only supported by a linguistic phrase, and the ability to play with those elements of fiction as if they were mental Lego pieces with no other existence than the little written signs on the page and the screen or the whispered words of silent mental speech. The concept of X exists nowhere than in the very sign X. Once more I can only say that I have never seen ‘supernatural’ defined in a way that makes sense. If stuff is observable either directly or indirectly and behaves in some regular pattern either roughly cause-effect or stochastic, then we can do science to it, and to call it either natural or supernatural doesn’t make a iota of difference; it is all just part of nature. If stuff is either not observable or it shows no understandable behaviour at all then nobody can say anything about it except that it most likely doesn’t exist. So where does that leave the supernatural? Especially because that would not be what supernaturalists mean anyway. They generally assume that gods behave in some logical way, e.g. reward piety and punish blasphemy, and that ghosts or faith healing or similar ‘supernatural’ phenomena are as observable as lyrebirds or surgery or similar ‘natural’ phenomena, for example. So, as long as there does not seem to be a ‘supernatural’ that has any actual coherent meaning, naturalism seems to be the only option left standing. “Especially when they ask us to ditch freedom and dignity as silly illusions. I gather you’re not familiar with Skinner or his work. You forget a major component of the human mind, and a major faculty of the human brain: imagination, which can create a lot of apparently “coherent meaning”. All the fears and hopes of childhood are maintained and magnified by the adult brain. And they can be used to construct impressive abstractions and fuel reams of speculations that pass as philosophy and theology. Massimo, you say that you see the concept of a secular religion as an oxymoron. Perhaps, but I’m thinking more in terms of ‘family resemblances’. Secular humanism could be seen to operate like a religion in a number of respects: in creating a sort of exclusive club (or in-group/out-group situation) based on general beliefs, etc. ; in having a history as a socio-cultural movement; in having various divisions or ‘denominations’; and crucially (and to my mind most problematically) in at least implicitly purporting to extract a favored ethical/political orientation from a metaphysics (or view on how the world is). I can see how certain (e.g. anti-clericalist-type) policy positions could be seen to follow from anti-supernaturalist views, but you seem to be going further than this. What I’m unclear on is the extent to which you see the ethical and political prerequisites for membership (e.g. “strong conservatives and libertarians need not apply”, etc.) as deriving from the scientifically-based elements of the secular humanist creed. I’m curious, would you consider people who buy into Boström’s simulation argument (and therefore believe our universe was in some sense “created”) to be deists? Would such people (simulationists? techno-gnostics?) be eligible to call themselves “secular humanists”? it is worth noting–more than noting, perhaps–that science and the scientific worldview, when extended into human affairs, can have devastating, anti-humanist results. What? None of these things came from “applying the methods of science to governance”. Science is a process of using evidence and reason to understand things. That is all. It isn’t prescriptive. Here we see the dreaded fallacy of equivocation being practised by you. The innocuous use of a word is used to disguise the specious use of a word, in this case ‘science’. Science, in the abstract, is a methodology of evidence and reason, as you pointed out. But science is practised by people. They bring attitudes, values, practices, habits, desires, shared behaviour and prejudices to the table of science. When they do this, science becomes more than a methodology, it also becomes a culture. You are using the fallacy of equivocation to hide the cultural practice of science by claiming it is only a methodology. It is science as a culture which is objectionable(when applied to governance), not science as a methodology. Science as a culture is highly prescriptive. Skinner’s book was evidence of that and, as Aravis pointed out, it is a very good example(read Aravis’ references, you will learn a great deal, http://bit.ly/1wURt3f). Dawkins showed that when he claimed that mothers of Downes’ Syndrome infants should abort. He showed that with his Islamphobia tweets. He showed it with his infamous bus campaign. You showed that by claiming science answers moral questions. Another example is the manner in which leading scientists advocate the restriction and indeed the ending of religion. That is highly prescriptive. I can give many more examples, both good and bad. Scientism is not science, it is the most extreme manifestation of science as a culture. Scientism is a prescriptive view that discounts humanist views of the world. Worse than that, it is a tone deaf, blunt instrument that is arrogant and shows no regard for the rich, nuanced culture of humanity and its deep history. Society is a complex, and subtle balance between all sorts of interests and values. It has taken us a long time to find this balance. Science as a culture brings a prescriptive, arrogant approach to this and falsely uses its authority, derived from science as a methodology, to justify its prescriptive approach. Neil deGrasse Tyson is right at the very top of the Kardashian Index so he is a leading example of science as a culture. For all these reasons, science as a culture is an inappropriate form of governance, or, as Aravis said, “can have devastating, anti-humanist results”. I suppose that one can be a naturalist (as defined by Alexander Schmidt-Lebuhn above) when it comes to all physical observables, but a supernaturalist when it comes to all moral values: thinking that the source for the moral code that we should follow comes from a supernatural (nonphysical) source. But then one has the idea that we can “link to” a nonphysical source to get this moral code, which seems strange. I assume you are not claiming that all the people who believe in mind-body dualism, faith healing, communing with the spirits, gods, angels, demons, clairvoyance and suchlike merely play pretend? It seems as if they generally believe those things are real, not imagined. My point is merely that I see no reason to separate these alleged phenomena into a separate realm called ‘supernatural’ without any clear explanation of how they would differ significantly from phenomena that fall in the realm nature. And as long as there is no coherent meaning of ‘not naturalism’ I don’t need to worry about whether naturalism should be part of humanism or not. The whole question seems meaningless. Funny you mention that, since Stephen will bring up precisely that point in his response tomorrow. But I don’t buy it. I feel that sometimes the family resemblance idea gets thrown around to force a point that wouldn’t rally stand on its own. No, secular humanism is not a religion, in any meaningful sense of the word religion. Look at your own list: a political party would fit it pretty well. Does that mean that being a Republican or a Democrat too is belonging to a religion? I don’t. Secular humanism being a comprehensive philosophy, with metaphysical, ethical and political commitments, includes all those aspects. It doesn’t mean they have to be derived from each other. That’s an excellent question! I’ve struggled with it myself (not that I take Boström’s argument seriously, but for the sake of discussion). I suppose one could see it either way, though I’m inclined to say rather that if we do indeed live in a simulation that pretty much erases our distinctions between natural and supernatural — and therefore empties of significance most people’s concept of god. We would then have to replace those concepts with ones more appropriate to the reality of the situation, like a distinction between the simulated world and the real one out there (where? ), and between us as simulated beings and the (natural, but effectively acting as if they belonged to the old supernatural category) simulators. No, that’s pretty much the definition of a supernaturalist. Supernaturalists act as naturalists most of the time (e.g., when they are sick and go to the doctors; when they assume that the law of gravity holds at all times; etc.). A part-time supernaturalist just is a supernaturalist. Coel may have a point in his dogged insistence that concepts of reality and existence be accurately defined. It has not been conclusively shown that numbers, morals and thoughts are objectively real. Democritus held “That atoms and the vacuum were the beginning of the universe; and that everything else existed only in opinion.” He may have been the first scientismist. Judging from the events in Scientia Salon, the argument has not been settled: the real and the ideal, phenomena and noumena, objective and subjective, naturalism, physicalism and supernaturalism, etc. We exist in an ever widening gyre and there seems nothing that would interrupt the unstable positive feedback loop: not ethics, politics, philosophy or religion. Certainly not mathematics. The debates in our salon are ample evidence of that. We are left with science, not because scientists can divine the truth, but because they attempt to accurately describe and analyze the confusing ‘reality’ within which we ‘exist’. I agree with Coel that if it can not be seen, felt, put in a bottle, our somehow measured, it will probably turn out to be a figment of our imagination which, as has been proven, has no limit. Science provides a limiting reference that philosophers ignore at their peril. Many seem to be offended by this scientistic presumptuousness. We are just trying to be helpful. “Secular humanism could be seen to operate like a religion in a number of respects: in creating a sort of exclusive club (or in-group/out-group situation) based on general beliefs, etc. ; in having a history as a socio-cultural movement; in having various divisions or ‘denominations’; and crucially (and to my mind most problematically) in at least implicitly purporting to extract a favored ethical/political orientation from a metaphysics (or view on how the world is)”. Well, if secular humanism is synonymous of atheism seems obvious that the Marxist materialism shows a Copernican twist/turn in order to set a new humanist religion where God is substituted by a crowd of thinkers that call themselves humanists. Surprisingly, there is no coincidence between them, so we see different humanist churches trying to establish the secular Gospel for the new era. This is a biased maneuver that aims to launch a politic ideology, the Marxism, above others philosophical, ethical and cultural currents. So the secular/atheistic ideology becomes metaphysical provided that it is the exclusive way of looking at the root of the human existence. Great read, especially with the understanding that naturalism can still incorporate a larger ontology (like mathematical objects) and still be perfectly coherent. As far as physicalism goes, I know I’ve said this before on other posts but its really something that all “physicalists” need to consider. Modern science continues to make “physical” objects seem more and more empty. Atoms are mostly empty space, the constituents of atoms are mostly empty space, and the most fundamental subatomic particles are either “strings of vibrating energy,” loops of spacetime itself, or something else entirely. The solidity and opaque nature of the objects we see around us are a result of electromagnetism and the pauli exclusion principle. They’re virtually all empty space, and we have no clue what the other part might fundamentally be, but its extremely tiny and ephemeral, whatever it is. That’s why Ladyman and Ross’s ontic structural realism and mathematical realism in general should be taken much more seriously by those nominalists simply out to dismiss it. Nevermind the philosophical arguments, its modern science pushing us in that direction. Here are working (coherent) definitions of “supernatural:” 1.any change in the world identified with entities revealed by previous religions or personal revelations 2.any change in the world claimed to violate the laws of nature 3.effects without proximate causes, whether mechanical, probabilistic or contingent 4.effects achieved by human actions or desires with no physical causal chain 5.entities without physical properties 6.any state of affairs that appear to have physical causes that are claimed to have resulted from the simultaneous action of undetectable caused entrained by indeterminate entities These are not truly distinct from each other on a conceptual level. It/they are also very abstract. Note by this mathematical Platonism is just as much religious as in the days of Pythagoras and his order. Also, Bostrom’s simulation, the world conceived as maya and human fate determined by karma are equally supernatural. And maybe qualia? But another working (coherent) definition of “supernatural” is simply that is which is claimed by its proponents as being supernatural, literally superior to nature. Idealist philosophy of all kinds is very close to this. This definition is nicely operational in the sense you can point to specific claims and behaviors. Note that supernaturalists usually condemn superstition. Superstition however is not just claims of supernatural powers by entities not a part of their religion. Superstition is also held to be prescientific misunderstandings of nature as something ordinarily coherent, intelligible, lawful (with the mental reservation, absent supernatural interventions by the favored entity.) The concept of the supernatural is not just a remnant of primitive times in which the world was conceived as the outcomes generated by conscious beings acting invisibly. The notion of the supernatural is just as another way of doing than the natural way, much as philosophy conceives different ways of knowing other than scientific study. In practice, knowing and doing aren’t so separate. Arguments for one are arguments for the other. I’m not sure how claims that the notion of the supernatural is incoherent make any difference. Pragmatically supernaturalists, as pointed out up above, will be naturalists when they want. But they won’t be physicalists, or materialists. Most of all, supernaturalists are never scientistic. I don’t think any naturalism committed to the repudiation of scientism will ever be able to coherently define itself in opposition to supernaturalism. not designed to know the size of its jumps. Because of WYSIATI (“What You See Is All There Is”), only the evidence at hand counts. Because of confidence by coherence, the subjective confidence we have in our opinions reflects the coherence of the story that System 1 and System 2 have constructed. The amount of evidence and its quality do not count for much, because poor evidence can make a very good story. For some of our most important beliefs we have no evidence at all, except that people we love and trust hold these beliefs. preposterous—and it is also essential. they believe, but by how they think. Earlier I traced people’s confidence in a belief to two related impressions: cognitive ease and coherence. We are confident when the story we tell ourselves comes easily to mind, with no contradiction and no competing scenario. But ease and coherence do not guarantee that a belief held with confidence is true. The associative machine is set to suppress doubt and to evoke ideas and information that are compatible with the currently dominant story. A mind that follows WYSIATI (“What You See Is All There Is”) will achieve high confidence much too easily by ignoring what it does not know. yourself—to tell you how much you should trust their judgment. I can only say that I have never seen ‘supernatural’ defined in a way that makes sense. Agreed. One definition of “supernatural” that I’ve seen (and which works quite well for things like ghosts) is “mind that is not physically instantiated”. By this definition, DM’s mathematical platonism is supernatural. This is why we first need to define the natural/supernatural distinction before asking who is signed up to it. … so morality is outside of science. If morals are human value judgments and thus if there is nothing supra-human to prescribe morals to humans, then all there is is description of human value judgements. That description is *within* science. Properly-posed questions about morals are not about prescribing morals to humans because that notion is nonsensical, it is a category error based on misunderstanding what morals actually are. But plenty of philosophers see the distinction I made and don’t seem to think at all that physicalism has been stripped of all meaning. If you ask what an electron “is”, the *only* answers are about how it *behaves*, in other words the only statements one can make about physical stuff are about the regularities that we describe using physical laws. That is why saying that the *regularities* are “not physical” makes physicalism empty, since there is literally nothing else at the core of physics. … the *concept* of molecule is definitely not material. Molecules are. I assert that “moral values” have exactly the same ontological status as “molecules”, in that both are patterns of lower-level physical material. Distinguishing between “molecule” and “the concept of molecule” doesn’t alter the fact that molecules are patterns of physical stuff. Similarly, distinguishing between a “moral value” and “the concept of moral value” doesn’t refute the claim that moral values *are* patterns of physical stuff (being brain states). Science as a culture is highly prescriptive. You are conflating “science” with things done by people who happen (amongst other things) to be scientists. You also conflate large swathes of things that you don’t like into “scientism”. I don’t accept your conflations. And where does the normativity go? Vanishes into the Higgs field? And an appeal to patterns of physical objects doesn’t help either, because that also tells us nothing about the normativity, which cannot be reduced in this fashion. “If you ask what an electron “is”, the *only* answers are about how it *behaves*, in other words the only statements one can make about physical stuff are about the regularities that we describe using physical laws. That is why saying that the *regularities* are “not physical” makes physicalism empty, since there is literally nothing else at the core of physics. And where in these patterns is the normativity? Patterns of physical stuff are patterns of physical stuff, not value judgements. If you are going for type physicalism, you need to reduce all the way down. Otherwise, you’re simply stipulating without substantiation. Concepts coming from epistemology and especially ethics have a dimension of normativity that is simply absent in non-normative concepts and cannot simply be identified with physical instantiations. And if you try and say, well, they refer to the same patterns they just mean different things, that doesn’t get rid of the normativity either. As Massimo has repeated to you ad nauseum, you are “confusing the concept of X with the physical instantiation of X.” Before you level charges of category errors, you might be kind enough to indicate where the normativity has gone. Answer: it hasn’t gone anywhere and hasn’t been reduced either. With all due respect, part of the problem with scientism is that “help” often becomes dismissal. As for being in doubt that numbers, morals, and thoughts are real, they seem plenty real to me on a token physicalist description. If you doubt this, try cheating a casino in Vegas. Part of the problem is that “real” assumes -via a question begging monism- that reality requires type physicalism, which has yet to be demonstrated. Many in philosophy wish to reject scientism’s ontological and epistemological imperialism, in large part because they feel it has not been demonstrated to be coherent and yet it summarily dismisses other points of view. I sympathize but science is a mixture of good news and bad news. Everyone is happy when a pet theory gets empirical support or when a discovery of something new, mysterious and wonderful is made. When the opposite occurs the messenger might be blamed. I agree, though, that misuse of scientific ‘truths’ by narrow minds are a pain in the neck, but that has not been a problem at the salon. On the question of whether thoughts are ‘real’ there is no doubt that they are real psychological events, with billions of neurons aligning in some sort of configuration. The problem is that the phenomenological content of a thought is inaccessible to everyone else. As an example, a fairly simple statement such as “I am happy because I had a good day” would have a very specific meaning to the speaker. Any listener would understand the message and might even conjure up a mental simulation based on the context. There would be, however, little correspondence in the subjective experience of the thought and the subjective experience of the auditory message – I would even predict that the brain processes a spontaneous thought very differently from an auditory message. We could also deconstruct the statement on multiple levels to further prove the point that specific information was not exchanged. The listener unconsciously guessed, imagined and empathized, creating an illusion that a ‘thought’ was conveyed. Perhaps most difficult for the thoughts are real view is that it now seems likely that each brain is constructed differently. Any objectively real thought would then have to produce a different configuration in order to produce the same experience. This could be but seems extremely unlikely. If thoughts had objective, independent reality they should be transmissible. In stead, most thoughts linger inside the brain for a few fleeting moments, and then to vanish, eternally beyond retrieval. “Naturalism is the position that there is no agent, external to the physical universe, that can have agency in the physical universe”, is sufficiently broad to capture all the positions such as physicalism and mathematical Platonism etc. – They form a recognisable sub-culture that behaves in recognisable ways. So it seems to me they themselves are successfully “conflating ‘science’ with things done by people“, all without any help from me. See the Kardashian Index. Huh? What could this possibly mean? Moral thought is about moral behaviour, by humans. See the NY Times Ethicist column for a long list of properly posed moral questions that make excellent sense, to humans. Yes indeed, many people who are experts in their field of moral philosophy, do emphatically disagree with you. That fact should give you(an astronomer) pause. But they have done more than disagree with you. They have patiently explained the reasons for their disagreement, using clear argumentation. Your replies consist of contradictions and denials with no attempt at engaging their arguments. Finally, one is compelled to conclude that you really do not understand. They are two different physical instantiations, in pixels, on the screen of your monitor, of the same abstract moral concept. Examining the physical instantiation with the tools of science only tells you how the particles are arranged. Moreover they can be arranged in many different ways while representing the same thing, as I have shown above. But examining the arrangement of the particles does not explain the abstract moral concept. How can it when billions of dissimilar arrangements are possible? For all these reasons, the tools for examining the arrangement of particles(science) are not suitable tools for examining abstract concepts(philosophy). It is really as simple as that. Science examines particles and fields, philosophy examines abstract moral concepts. They are entirely different things and that is why science cannot answer moral questions. In summary, science describes arrangements of particles. but these descriptions have no normative content. Claiming that science answers moral questions is the same as claiming that stars tell us something about human behaviour. You are practising astrology by another name, which is rich, coming from an astronomer. It seems to me that 1 and 2 are symbolic representations of an abstract concept, not instantiations. Since it is an abstract concept, it is unsubstantiated, it is not real and it does not exist, unless and until it is observed and processed in consciousness. Then those black shapes on a white background evoke an extremely complex physiological response which is real and is almost totally self-generated. I do not understand how this conversation in my head came about, the process is real, but its subjective content is my private and unique experience. This is the stuff metaphysics has tried to make sense of, with a notable lack of success. Santa Claus, like the Kardashians, exists, inspires millions but is definitely not real, unlike those frivolous sisters. God exists and provides guidance to billions but has not yet been proven to be real. Spoken thoughts, likewise, exist but are not a shared reality. Oxygen molecules have always been real and now also exist in our minds since the discoveries of Joseph Priestley. Prior to Giordano Bruno other worlds did not exist but recently have been found to be also real. Why bother with these fine distinctions? Simply to serve as a caution to those who think they really know what they are talking about. thanks for your comment. As you pointed out, (1) and (2) are representations of an abstract concept, that when observed, instantiate that concept in the mind of the observer(or fail to if you don’t understand Chinese). My version was merely a shorthand version of your more complete version. As you said, fine distinctions are important but they get lost when one is struggling to remain within a 500 word limit. As it was my comment reached 513 words. This is my comment #5 so I will have to abandon the discussion at this point, but thanks for your insights. There is much more that could be said but it is better to concentrate on Steven Law’s reply.